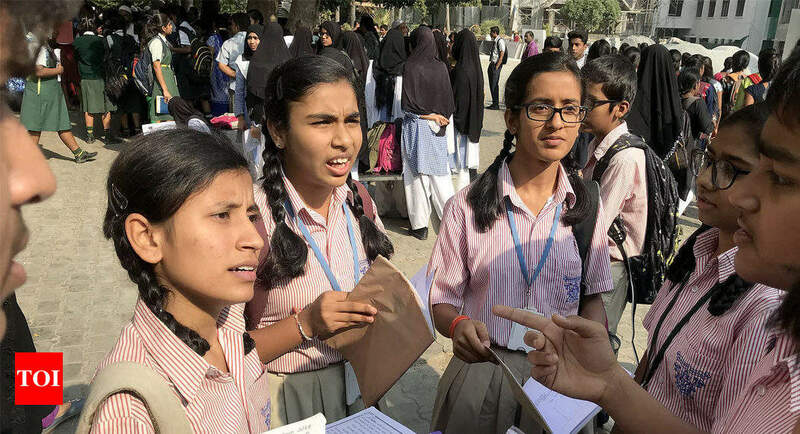 NEW DELHI: The Central Board of Secondary Education is conducting the Class 10 and 12 board examination for the year 2018-19. On Saturday, March 23, 2019 the CBSE will hold the English examination for Class 10 students. The exam will be conducted from 10:30 am to 01:30 pm. In order to contain the rumours of the paper leak, the CBSE has located more fake links on YouTube claiming to have access to the class X English papers. As per the press note released by CBSE, the authority has found Class 10th English, question papers on YouTube. The CBSE appealed to students and parents not to react to such fake news is circulation and join hands with the board for a fair and smooth conduct of examinations. Candidates should start their paper with Section A as it very time consuming next they can attempt the writing section as it requires lot of thought process and in the end attempt the literature section as you are most familiar with this section. Students should read questions before reading the passage as it will save their time. For writing, the candidates should revise formats at least three to four times before appearing for the examination. And for the literature section, candidates should start with long answer. For novel, the students should focus on plot, theme and character sketch. Around 15-20 minutes are required for the revision of the paper or attempting the left out questions.